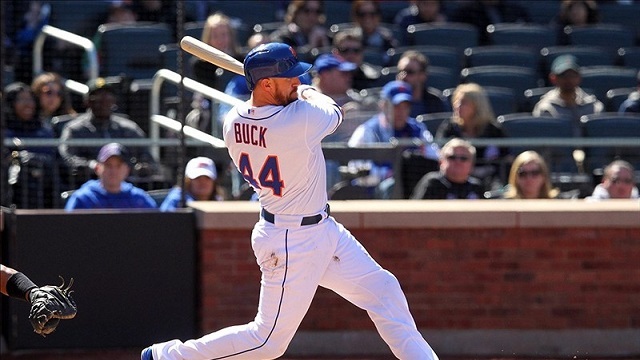 Fantasy Baseball-Pickups of the week-Get more Bang for your ‘Buck’! The first week of baseball is now in the bank, however in fantasy, there are many leagues that do not commence until week #2. Perfect timing then for our Waiver Wire Pickups of the week! (Keep in mind that there is only a small sampling to go by after just one week). We wish all of the owners out there much success this season and want to remind you all to stay active on the waiver wire for that added edge in your leagues. Good luck! Darin Downs-RP-Tigers- If you’re in a deeper roto league and have the bench space, you might think of stashing this second year hard thrower. In 21 big league appearances, the 29 year old who has spent the majority of his time in the minors, has averaged 1K per inning. So far this young season, in just three games, Downs has two holds, 7 strikeouts, 2 BBs and has posted a 2.08 ERA to go along with a miniscule 0.46 WHIP. The closer situation in Detroit is one by committee with Phil Coke struggling, and 35 year old Joaquin Benoit unreliable. Downs is a low risk-high reward pickup and is virtually unowned in leagues. Franklin Gutierrez-OF-Mariners- Now in his fifth year with Seattle, Gutierrez has been plagued by the injury bug over the past couple of seasons and so manager Eric Wedge has been monitoring his playing time to start the season. Off to a pretty good start to the season- 2 homers, 6 RBIs and a .319 batting average, Gutierrez is a solid bet to net you a 15/15 season. 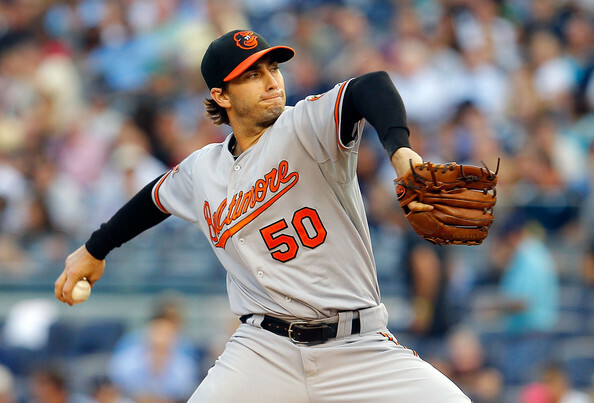 Miguel Gonzalez-SP,RP-Orioles- This converted relief pitcher is in his second season in the majors and we feel he could be a “baby sleeper’. In 16 big league career starts, Gonzalez is 10-4 with a 3.22 ERA and 1.20 WHIP. He has an 81/37 K/BB ratio and has a decent arsenal of pitches. A true test will be when he faces the Yankees on Friday who he has gone 1-1 with the last two time he’s faced them striking out 17 while walking just 1. More impotantantly, he only gave up 1 earned run in 14 innings pitched in those games. Someone to watch and consider in deeper roto leagues. Justin Masterson-SP-Indians- As opposed to a Waiver Wire Pickup, Masterson is someone you might consider ‘watching’ before adding unless you are in a very deep league. One of the most added pitchers over the past 72 hours, we recommend caution with him. Masterson just started his sixth year in the majors and his career record is an underwhelming 40-53. His best season was in 2011 when he went 12-10. Yes, he’s off to an amazing start with 2 wins, 13 K’s, a 0.69 ERA and 0.71 WHIP. But he’ll face the White Sox and Red Sox in his next two starts and we think his great start will be hard to sustain. Just proceed with caution. I picked up Gutierrez over the weekend. Droped Craig Gentry. Also I have been streaming pitchers who are facing Houston. So far, so good. 3 wins very low ERA and WHIP, and about 18 SO. I am continuing tonight with another Seattle pitcher. Cant remember his name. I know it wont last forever but I have the lead in wins, ERA, WHIP and SO. Any advice on RPs who will be closing soon. I have F. Rodney TB, E. Ferreri LAA, and J Veras Hou. 1 save between them. I would like to add a fourth and then sit back and let the season happen. I had Henderson and Fujikawa since day 1 in anticipation of their eminent domain over the closer gig. If either of them happen to be available, which I doubt now that they’ve assumed the role, they’d be nice grabs. Looking on down the road, Kenley Jansen and Sergio Santos should get a crack at the closer gig at some point. Delabar might be the sneaky pick in Toronto. I have Valverde stashed in a couple deep leagues, as a strong showing in the minors could cadipolt him into the role. Although they probably wouldn’t want to go into the playoffs with him there, so be careful with him. Some think Ryan Cook is next in line in Oakland, but my money is on Doolittle. He doesn’t have much other than a beefy fastball, and he’s a lefty, but his brief history shows he can get batters out no matter what side of the plate they are on. And in fantasy, I’d rather have the guy who’s going to whiff 11 or 12 batters per 9. Totally agree with Doolittle as we picked him as a sleeper before the season began. Check out the article we posted. If he can be stashed we recommend that you do so. A rifle for an arm!! See if K. Herrera (Royals) or Henderson (Brewers) are available in your league. I picked up doolittle. Everyone else except delebar was taken. Thanks guys, That is the type of guy I needed. What about Gattis in deeper leagues? Frustrated fans are already calling for him to keep getting AB once McCann gets back. The homer tonight gives him s delicious stat line to begin the year. He’s someone if be really excited about if he had a line on steady ABs, but I just think it’s right place, wrong time for the power guru. They seem to be giving him ample playing time since Freddie went down – at the clean up spot nonetheless. Is there any chance they try him out at 1st? We like Gattis in N.L. only leagues at this time and don’t see him being anything except a back up to McCann when he returns and as a pinch hitter perhaps.